Click on one of the thumbnails below to access the 10 photos of this aircraft. Chipmunk #18035 was the second aircraft to join the Museum. It was donated by John Weir after he obtained the registration CF-POW. It is seen here at Buttonville, Ontario still wearing part of its last military paint scheme. 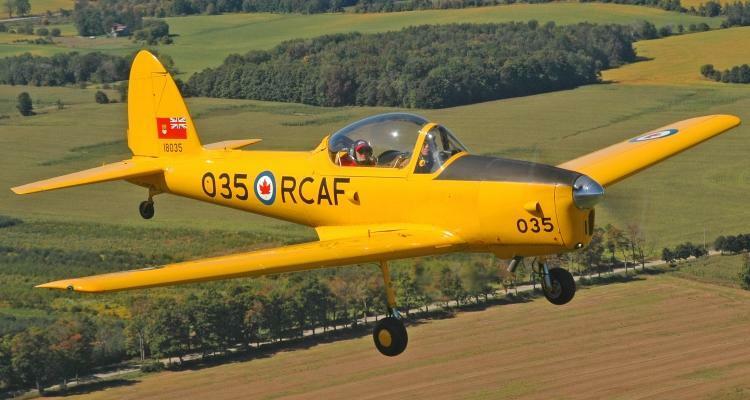 Chipmunk #18035 was painted back to its original RCAF scheme. Museum co-founder Alan Ness is in the cockpit. 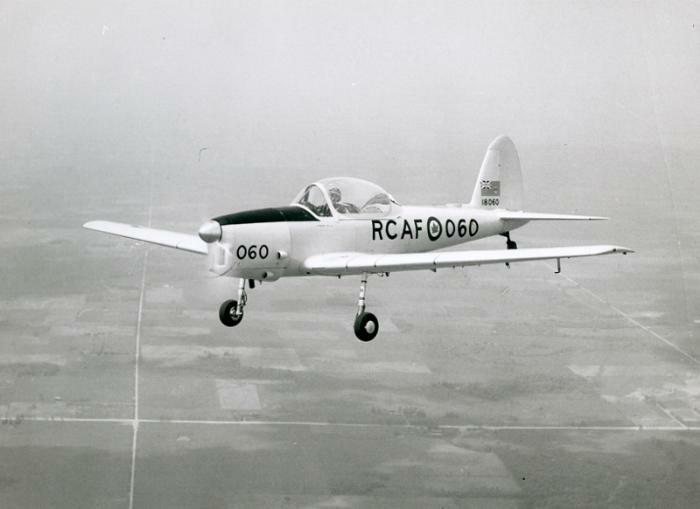 De Havilland Aircraft of Canada started design of a primary trainer to replace the legendary Tiger Moth in October 1945 and the prototype flew seven months later in May 1946, from Downsview, (Toronto), Ontario. The fuselage was of all metal, stressed skin construction as were the fin and tail plane. The single spar wing had a stressed skin leading edge, while the rear portion of the wing was fabric covered. The wing was stressed for 9g, a factor which contributed to its popularity as an aerobatic aircraft. 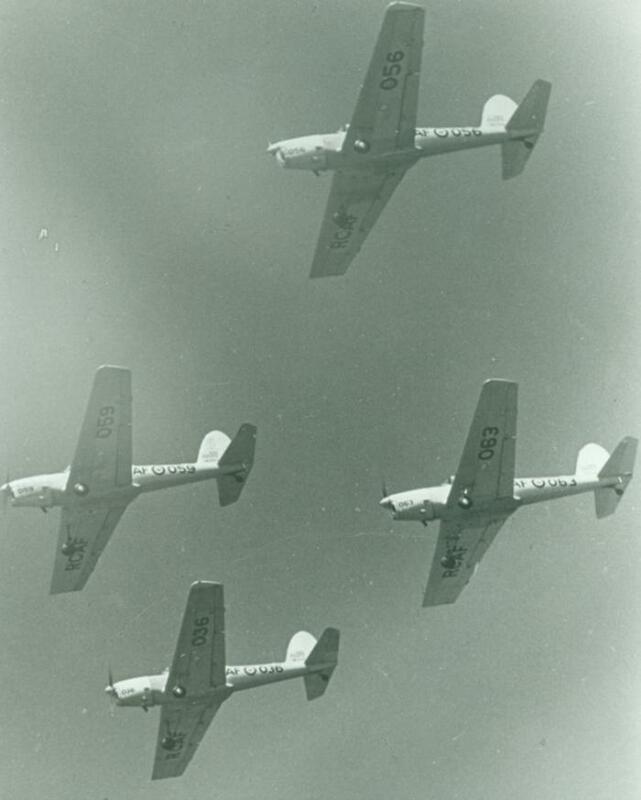 The Canadian Army accepted its first DHC-1 Chipmunks in 1948. They were used for elementary pilot training at the Canadian Joint Air Training Centre, Rivers, Manitoba, as well as for training pilots in ranging and directing artillery fire. 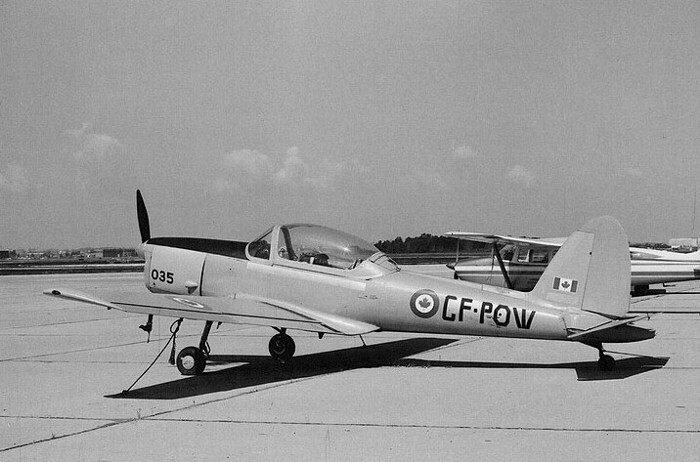 The RCAF ordered its first Chipmunks in 1952, only after a number of design modifications were completed. The most obvious one was the replacement of the built up cockpit canopy with an interchangeable bubble type. 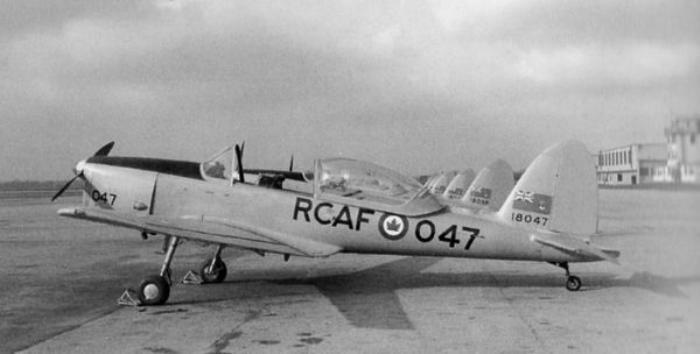 The last of the 217 Canadian built Chipmunks was delivered to the RCAF in the fall of 1956. 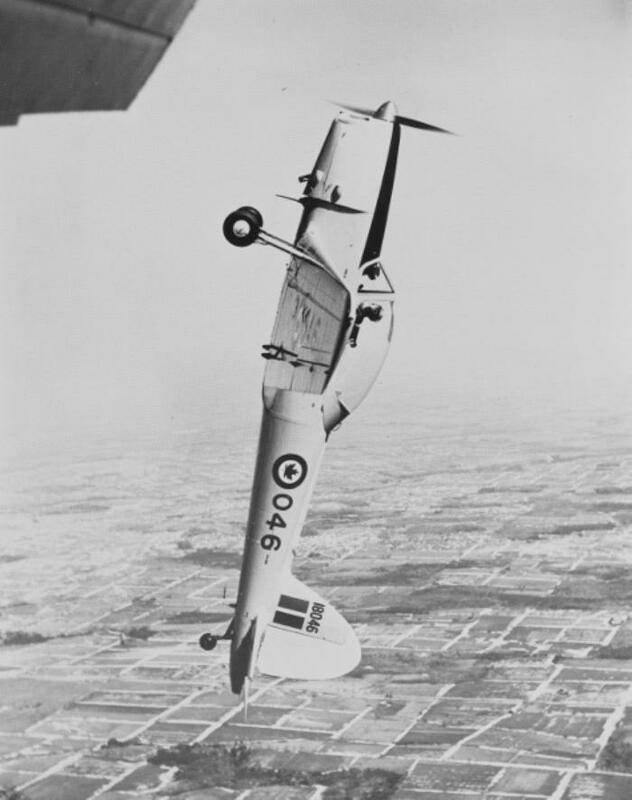 The aircraft continued to operate with the Canadian military until the end of 1971 and with the RAF until the end of the 1970s. Its long service was due in part to it being fully aerobatic with flying characteristics similar to the Spitfire, which made it a delight to fly. 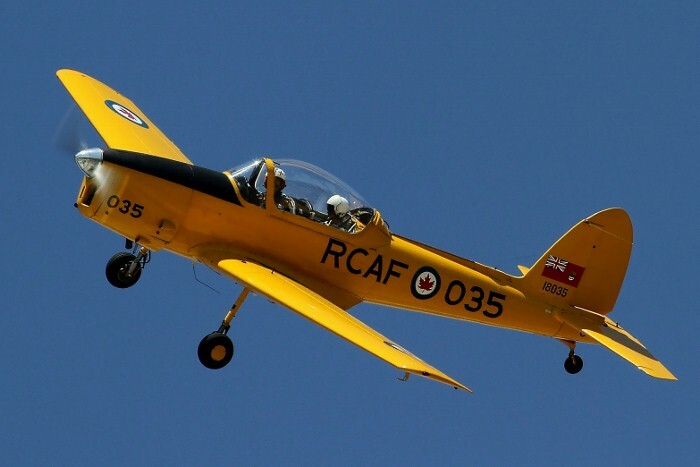 Because of the design’s rugged airframe and reliable engine, many Chipmunks are still being flown today. 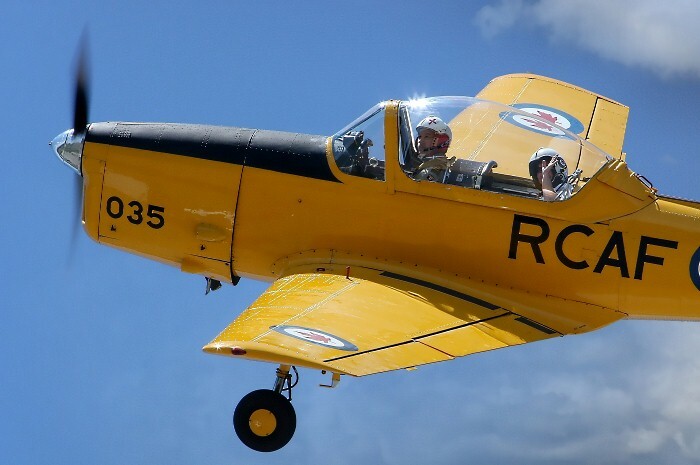 A total of 1,283 de Havilland Chipmunks were produced between 1946 and 1958; 217 in Canada; 1,000 in the UK, and 66 under license in Portugal. 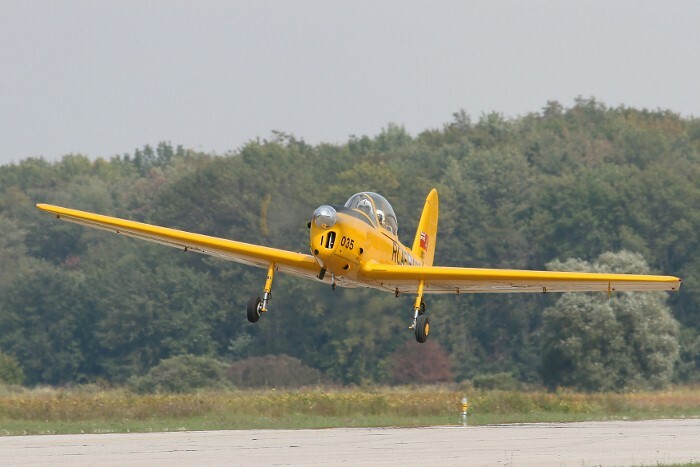 The Museum's Chipmunk was built at Downsview in 1956. 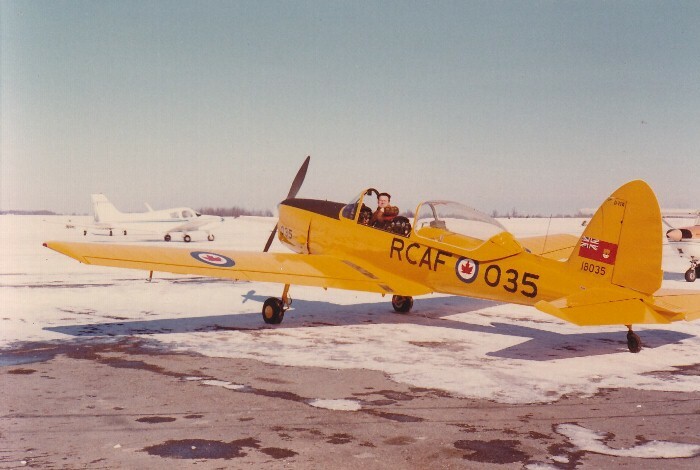 The aircraft served with Canadian Forces Training Command until 1971, when it was purchased by John Weir, one of the Museum’s founders. John had been a fighter pilot and a prisoner of war in Stalag Luft III, the camp made famous by the “great escape” of 76 Allied aircrew in 1944. He donated the aircraft to the Museum 1973.